Welcome to MOLLY MAID of Southeast Dayton! Dayton, Ohio’s local choice for professional residential cleaning services. For nearly 20 years, our Dayton house cleaning company has been cleaning the homes of residents in Beavercreek, Oakwood, Centerville, Springboro, Kettering and the surrounding areas. Our Dayton maid service provides professional house cleaning that is customized to your needs. Prior to your scheduled cleaning we will come to your home and conduct a free in-home estimate which gives us the opportunity better understand your specific needs and provide the quality clean you are looking for. From cleaning floors to dusting kitchen appliances and window cleaning, you can count on our Dayton maid services for all of your home cleaning needs. At Molly Maid of Southeast Dayton we offer regularly scheduled housekeeping which includes; weekly, alternate weekly, monthly and quarterly house cleaning services. In addition, we also offer one-time cleanings for those clients who need their home cleaned for a special event or move-in/move-out clean. We send trained and insured professional teams to clean your home. Our housekeepers arrive in a logoed car, dressed in uniform, with all the supplies necessary to clean your home, per your plan. At Molly Maid of Southeast Dayton we provide excellent customer service, peace of mind and reduce the stress from everyday life of our customers. We are proud to serve Dayton and its east and southern suburbs including Beavercreek, Xenia, Centerville and the Springboro area and like to give back by supporting local charitable causes. 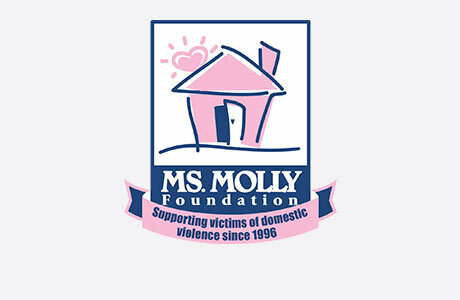 We are fortunate to help support two local shelters through the Ms. Molly foundation. The first is Family Violence Prevention Center - Greene County: The mission of the Family Violence Prevention Center is to reduce family and relationship violence and its impact in Greene County through prevention, intervention, safe-housing and collaborative community programs. Our second partner is the YWCA Dayton: The YWCA of Dayton is dedicated to eliminating racism, empowering women and promoting peace, justice, freedom and dignity for all. Who will be cleaning my home? Molly Maid sends a team of two trained and insured employees into your home who arrive in a signature Molly Maid car and professional uniform. They bring all the necessary supplies and equipment to clean your home. Do I need to be home when Molly Maid arrives? One of the benefits our customers enjoy most about Molly Maid is the convenience of not having to be home while we clean. Over 70% of our customers provide us with a key to their home – an indication of the trust we’ve earned. Am I liable for worker’s compensation insurance or employment taxes? Molly Maid employees are not sub-contractors; we take care of the necessary worker’s compensation and employment taxes. Call today to learn more about our professional maid services. Request a free in-home estimate and learn why your local Molly Maid is the most trusted name in Dayton home cleaning.